The numbers from previous elections show votes for third-party candidates for president could have unintended consequences. When I was a 19-year-old college student, I enthusiastically voted for a third-party candidate for president. My vote didn’t cost Jimmy Carter his re-election in 1980. He lost because a lot of voters like me either chose John Anderson, were charmed by Ronald Reagan’s folksy ways or sat out the election in a disaffected huff. The results of that election were eight years of fewer rights for women, too many federal dollars for defense, more years than I can count of trickle-down economics and led to the appointment of William Rehnquist as chief justice of the U.S. Supreme Court. I promised myself I would never vote for a third-party candidate for president again. Voting for Libertarian Gary Johnson or the Green Party’s Jill Stein is not the brave, protest vote of conviction some people unhappy with Donald Trump or Hillary Clinton may believe. It’s naive and dangerous. A vote for Johnson is a vote for Clinton and a vote for Stein is a vote for Trump. Neither Johnson nor Stein will get enough votes to win the election — or even a single state — but they could push the results in key battleground states in an unintended direction. The numbers from previous elections prove this point. Are you willing to take a chance that history won’t repeat itself and the election results won’t resemble what happened in 2000? In 1992? Or in 1968? Those were years when third-party candidates clearly changed the presidential outcome. 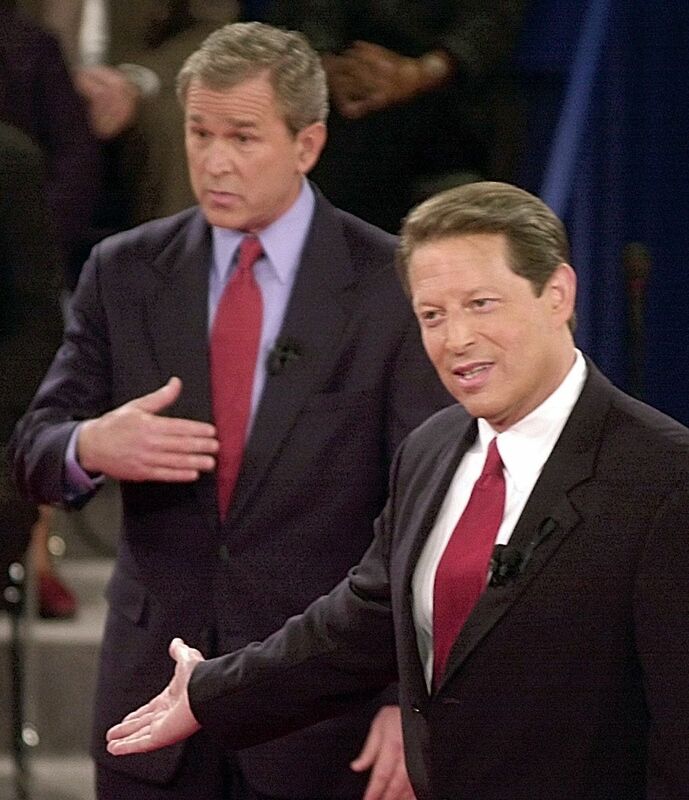 In 2000, Al Gore lost the state of Florida to George W. Bush by 537 votes. Ralph Nader won more than 97,000 votes in that one state which, with some assistance from the U.S. Supreme Court, decided the election for Bush. Votes were close in other states, as well, including Oregon, where the Green Party candidate won about 5 percent of the vote. In 1992, Ross Perot won nearly 19 percent of the popular vote. He earned not a single electoral vote, but the math says he cost incumbent George H.W. Bush Montana, Nevada, Maine, New Hampshire and Vermont. Some would add other close states like Wisconsin, Iowa and Georgia to the list. Perot clearly cost Bush his re-election. Back a little further in 1968, Alabama Gov. George Wallace won more than 13 percent of the popular vote and 46 electoral votes with his segregationist campaign that appealed to working-class white voters. Some historians and political scientists believe the impact of that campaign is still being felt in today’s political campaigns. Nixon moved toward the middle in that race and defeated Hubert Humphrey, but it was a close call in a majority of states, with Wallace drawing votes from both Republicans and Democrats. My one voting misfire was not as close or decisive: Anderson won nearly 7 percent of the vote in 1980, but it is not clear whether he cost Carter the election. How can voters today take a chance that their third-party choices won’t usher Trump into the White House? If successful, he would likely nominate one or possibly more Supreme Court justices, represent our nation on a national stage, talk smack about women, minorities and immigrants, and who knows what else. If you fear Clinton, you know what the stakes are. Every vote matters. It’s the citizen’s responsibility to make the choice he or she thinks is best for the country. It’s important to consider all the consequences of your vote, including the impact on what could be a close election in some states. If you vote for Stein and Trump wins, don’t come crying to me in January. You would have no one to blame but yourself. Donna Gordon Blankinship's column appears regularly on editorial pages of The Times. Her email address is dblankinship@seattletimes.com. On Twitter @dgblankinship.